Xilisoft MP4 to Home DVD Converter qualifies you to preserve your favorite MP4 videos by burning them into DVDs for you to enjoy them on Home DVD players. It provides the most convenient solution to convert videos in format of MP4, MPEG, MPG, M2V, DAT, VOB, M4V, and H.264 as well as iPhone videos(MOV) to a format compatible with most Home DVD players and burn them into Home DVD discs, Home DVD folders and ISO files. Convert MP4 to DVD, also AVI, MPEG, M4V, MKV, H.264 into DVDs. Burn MOV videos especially from iPhone4 to fine-quality DVDs. Burn MP4 to DVD-Video, Home DVD folder and ISO image file format. Establish distinct Home DVD menus by built-in menu templates. Customize Home DVD movie by adding background music, pictures and watermark. Convert MP4 to DVD for playing on DVD players. Convert videos in format of MP4, AVI, MPEG, MPG, M2V, DAT, VOB, M4V, MKV or H.264 to a format which can be played in DVD players and burn them into high-quality DVDs. Convert iPhone MOV videos to the format supported in DVD players and burn them to high-class DVDs. Create ISO file on disc or DVD folders from MP4 videos to satisfy diverse requirements. Convert MP4 videos to multiple DVD formats, including DVD-R, DVD+R, DVD-RW, DVD+RW, DVD+R DL, DVD-R DL, DVD-5 and DVD-9. Capable of converting multiple files at the same time. Make the conversion and burning much faster. Design and establish DVD menus according to your preference and custom. Using this MP4 to DVD burner, you are enabled to create tailored DVD menus to make your DVDs distinctive. Free to modify the layout and pattern of DVD menus. Scores of menu templates are also equipped for you to choose. And the menu templates can be downloaded. Attach your favored music and picture into the menu as a background music/picture and you can preview the effects you've added. 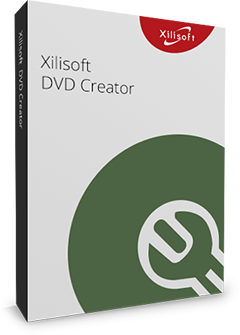 Xilisoft MP4 to DVD Converter allows you to directly start playing DVDs by skipping DVD menus. Clip video segments you like and merge them together to burn a DVD . You are allowed to adjust video frame size, regulate image effect or add pictures as well as watermark into your videos. Set different audio tracks and subtitles before burning MP4 to DVDs. You can adjust the audio volume, set subtitle language and etc. More parameters to adjust video/audio settings are available: video/audio quality, bit rate, television standard, aspect ratio, resizes mode, channel, sample rate and etc. You can preview videos in the built-in player and take snaps to your preference. This MP4 to DVD converter enables you to divide your DVDs to several parts by adding chapters.